The delusion of social and species division is a central doctrine of Suddha Sanmargam. It is implied by Ramalingam’s emphasis on the falsity and illegitimacy (Tamil:பொய்) of social divisions, among human beings, based on caste, class, race, clan, tribe, custom, gender, religion, nationality, and so forth, and species division, presupposed by speciesism, between human and non-human beings, based on biological differences. The delusion of social and species division is also implied by the great moral and spiritual ideal of Suddha Sanmargam: the realization of soul-kinship with all sentient beings. Recall that, in the previous post, I made a distinction between difference and division and characterized a division in terms of relations of opposition, discrimination, and antagonism, relations stemming from the emphasis on, and the exacerbation of, differences at the expense of shared features, inclusive of common needs and interests. A division is, therefore, a fertile breeding ground of hatred and cruelty. In its very nature, the division of the self and the other, with its attendant occlusion of the common ground and interest of the self and the other, leads to self-aggrandizement at the expense of the other. Inhumanity toward the other follows predictably. Why is it a delusion to believe in the legitimacy of social divisions among human beings and species division between human and non-human beings? It is a delusion because it is a false belief leading to pathology of thought, feeling, attitude, and action. Here is why the belief in the legitimacy of social and species division is false. Two entities X and Y are different if one has properties which the other lacks or possesses in lesser or greater degree. However, this does not justify a division between X and Y, a relation of division characterized by opposition, discrimination, and antagonism. The reason is that the differences do not imply the absence of similarities, or shared features, inclusive of common needs and interests, regardless of their degree, between X and Y. Hence, difference does not imply an absence of common ground between X and Y based on their common needs and interests . 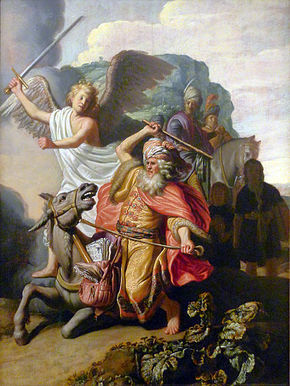 Therefore, the belief that there is necessarily a division between X and Y, because of the differences in their attributes, is false. In other words, it is illogical, and, therefore, irrational to think that social and species divisions are implied by the existence of differences among human beings, or between human and non-human sentient beings. For instance, X and Y may be different in that X, a human, has an advanced ability to communicate by means of language, whereas Y, a dog, has a limited capacity to communicate due to lack of language. However, this difference in their level of ability to communicate does not abrogate the fact that the need and capacity to communicate is a similarity, or a shared property, between a human and a dog. Hence, the fact that humans have language ability and dogs lack that ability does not show the absence of a shared or common need to communicate. It follows that there is no basis for discriminatory treatment of dogs in respect of their need to communicate, among other needs. Therefore, it would be morally wrong to deprive dogs of their capacity for communication, or to significantly restrict, or diminish, that capacity. Thus, despite their differences, both human and non-human beings have needs and interests in common, e.g., need for sustenance, need for habitation, need for movement in an adequate amount of physical space, need for physical safety, etc., and, therefore, it is morally wrong to discriminate between human and non-human beings in respect of these common needs and interests. As I pointed out earlier, hatred and cruelty follow in the wake of the delusive belief in divisions among human beings and between human and non-human beings. The delusive belief in the division of human and non-human beings has led to pathological indifference, or cruelty, toward non-human beings. A victim of the barbaric “bullfighting”! The great English artist William Hogarth (1697 – 1764) showed in his series of engravings titled “The Four Stages of Cruelty” (1751) that the pathological cruelty toward animals, which stems from the species division of humans and animals and its attendant occlusion of their common needs and interests, is inexorably extended to other humans and inevitably recoils on the perpetrator. 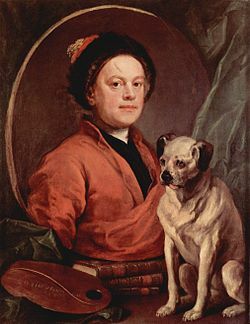 Hogarth’s series may also be viewed as a portrayal of the karma of cruelty to animals. To lawless Love when once betray’d.